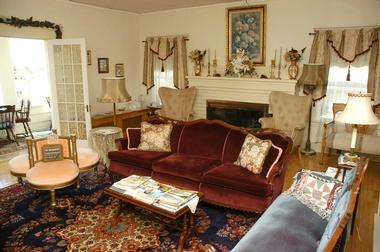 A Harbor View Inn is a comfortable bed and breakfast set in the beautiful Grays Harbor County in Aberdeen, Washington. Situated on Washington State's Olympic Peninsula overlooking the lovely harbor, the waterfront inn is conveniently located within a short drive from the Pacific Ocean and Olympic National Park. 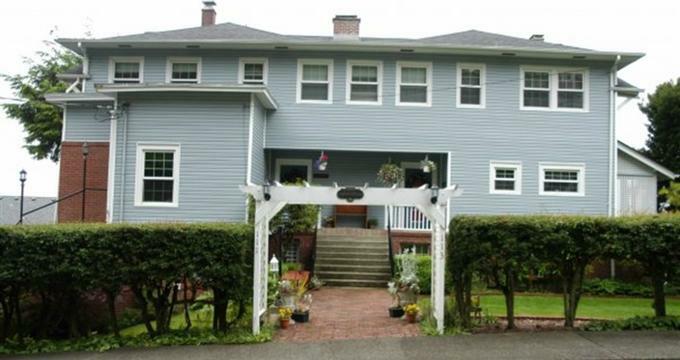 Built in 1905 in the Colonial Revival style and filled with Victorian antiques, the Olympic Peninsula bed and breakfast features charming accommodations in the form of five large guest rooms with king-size beds, their own private bathrooms, modern amenities. Each room boasts breathtaking views of the Wishkah and Chehalis Rivers, Grays Harbor, and the bustling city port of Aberdeen. A Harbor View Inn is located in the beautiful city of Aberdeen on the Olympic Peninsula and is conveniently located just a couple of hours from Seattle and Portland, 45 minutes from the Olympic National Park and 20 minutes from the Pacific Ocean. A Harbor View Inn features charming accommodations in the form of five large guest rooms with king-size beds, their own private bathrooms, modern amenities, including a flat-screen television, DVD and VCR players and complimentary wireless Internet, and breathtaking views. 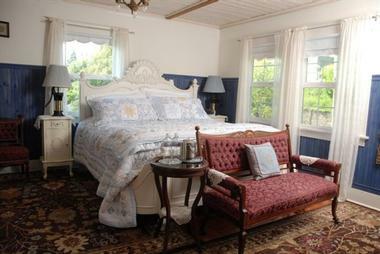 The Josephine Paine Room features a king-size bed with plush linens, a spacious en-suite bathroom with antique claw foot tub, thick towels, and deluxe bath products, and an inviting sitting area with a flat-screen television, DVD and VCR players and complimentary wireless Internet, and gorgeous views of the Chehalis River. The Canterbury Room offers a king-size bed with plush linens, an extra-large en-suite bathroom with antique claw foot tub, thick towels, and deluxe bath products, and a separate dressing area. The room also has a work desk and chair, and comfortable sitting area with a flat-screen television, DVD and VCR players and complimentary wireless Internet. 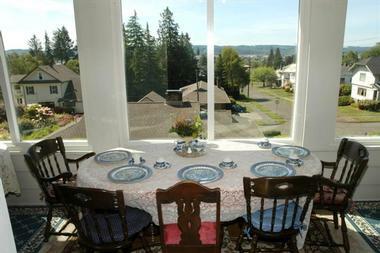 The room boasts beautiful views of downtown Aberdeen and the Chehalis River. The Windsor Room overlooks downtown Aberdeen and the Harbor and features a king-size bed with plush linens, and an extra-large en-suite bathroom with antique claw foot tub, shower and double vanity, thick towels, and deluxe bath products. A sunny sitting area has a work desk and chair, and comfortable sitting area with a flat-screen television, DVD and VCR players and complimentary wireless Internet. 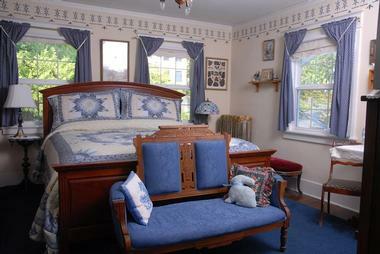 The Blue Willow Room offers a king-size bed with plush linens, and an extra-large en-suite bathroom with antique claw foot tub, thick towels, and deluxe bath products. The room also has a rollaway twin bed for extra guests and a cozy sitting area with a flat-screen television, DVD and VCR players and complimentary wireless Internet. This room boasts beautiful forest and harbor views. A delicious home cooked breakfast is served every morning in the sunroom overlooking the harbor, and guests have access to the guest kitchen and the dining room for self-catering purposes throughout their stay. A Harbor View Inn features charming accommodations in the form of five large guest rooms with king-size beds, their own private bathrooms, and modern amenities, including flat-screen televisions, and complimentary wireless Internet. 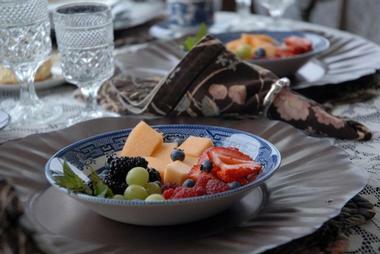 A delicious home cooked breakfast is served every morning in the sunroom overlooking the harbor, and guests have access to the guest kitchen and the dining room for self-catering purposes throughout their stay. The city of Aberdeen rest on the shores of Washington’s Grays Harbor and is a strategic location between the impressive Olympic Peninsula and the natural beauty of the Washington coast, making it the perfect base for exploring the region. The city and its surrounds have much to offer in the way of things to see and do, including cultural and historical excursions and tours, excellent museums and art galleries. There is also excellent shopping, fine dining and an array of outdoor recreation such as hiking, biking, horseback riding, kayaking, bird watching, and more. There are beautiful beaches just minutes from the city for clamming, beachcombing, fishing, and whale watching, and there are many walks through the city that take in the glorious architecture and heritage of Aberdeen. Enjoy the magnificent gardens and homes built by the lumber barons and early businessmen of Aberdeen on one of several excellent walking tours on historic Broadway Hill, while the Aberdeen Museum of History showcases the history of Aberdeen, including authentic buildings such as the fire department, theater, a general store, and a home. The Polson Museum is another historic home that offers an insight into the history of the city. Take a languid stroll along the waterfront to visit famous local attractions such as the Morrison Riverfront Park and the Compass Rose and two local theaters present shows throughout the year. Shoppers will delight in the wide range of antiques and specialty shops, while birders can see a variety of shorebirds and other native birds at the Grays Harbor National Wildlife Refuge near Bowman Basin. Golfers can enjoy a game at one of two golf courses in Aberdeen and Ocean Shores.